Gerald D. Buckberg was a Distinguished Professor of Cardiac Surgery at UCLA’s David Geffen School of Medicine. He was the recipient of the 2007 American Association for Thoracic Surgery Scientific Achievement Award, the highest honor the Association bestows, and his groundbreaking achievements have been lauded with international recognition. His early research led to the landmark discovery of blood cardioplegia (a method that safely stops the heart during surgery), which has dramatically increased the safety of open heart operations. The procedure is currently used by over 85% of surgeons in the United States and 75% of surgeons worldwide. Dr. Buckberg did residency training at Johns Hopkins Hospital and UCLA, received Cardiothoracic training at UCLA Medical Center, and did research training at the Cardiovascular Institute at the University of California, San Francisco. 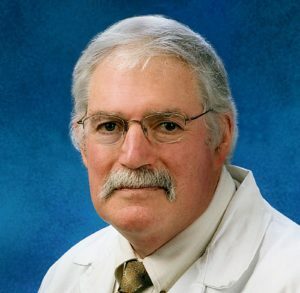 A member of multiple surgical societies, including the American Association of Thoracic Surgery, American Surgical Association, and the Society of Thoracic Surgeons, Dr. Buckberg and his teams have developed new treatments for acute myocardial infarction (heart attacks) that save and restore healthy function and avoid the development of congestive heart failure that often follows heart attacks. He later formed a team of leading surgeons and cardiologists from the U.S., Europe, Asia, and South America to treat congestive heart failure in dilated hearts. Initial success in 1198 patients was followed by an additional 5,000 highly successful procedures worldwide. Further innovative studies led to breakthroughs that have helped treat sudden death syndrome (cardiac arrest), avoid heart muscle damage in blue babies, remedy disorders relating to the septum, and improve pacemaker effectiveness. His research also resulted in a new structural understanding of why the heart beats normally, and yet fails during disease. This led to the production of a DVD describing the Helical Heart that was honored with the 2005 FREDDIE award, recognizing excellence in medical documentaries and videos from around the world. Exploring additional avenues to communicate to a broader audience, Dr. Buckberg collaborated with the College-Conservatory of Music at the University of Cincinnati to create a ballet in 2007. Through dance, it portrayed how the helical heart structure provides new insight and understanding in the treatment of heart disease. The Cardiac Dance; Spirals of Life played to packed audiences, and was later videotaped, with copies distributed to all cardiac surgery divisions throughout the U.S. and Canada. In addition to his passionate research pursuits, Dr. Buckberg was both a marathon runner and marathon swimmer, and continued to swim daily as part of the UCLA Masters Swim Club, until passing away in September 2018 from leiomyosarcoma cancer.